DKN may not be a brand that instantly comes to mind when talking rowing machines; they're better known for their spinning bikes, treadmills and vibration plates (especially in the UK). 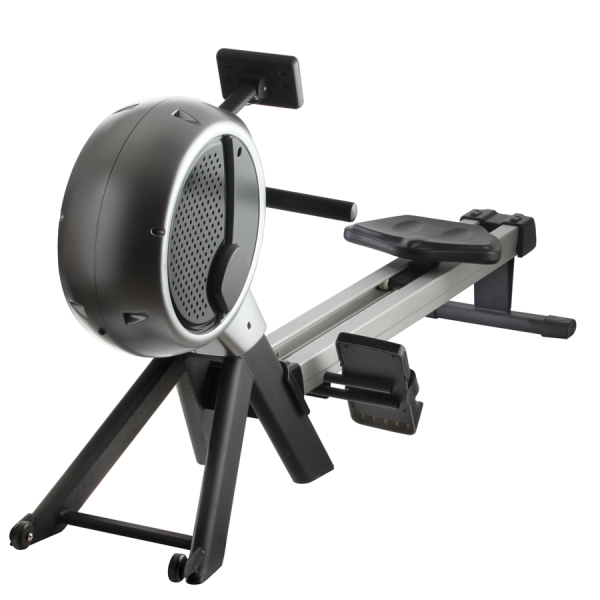 However, they've pitched into the indoor rower market with the R400 and aimed high with this feature-packed model, and it has to be said, a sleek and stylish looking machine. But at a price of over $1,000 it has to be good when you take a look at the other competing models - see below for more recommendations. DKN have a good reputation for innovation and eye-catching designs, but when you're up against the likes of Concept2 and WaterRower, the bar is set very high. So what about the DKN R400? 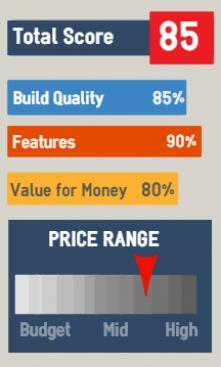 Is it worth considering over the above mentioned brands? In our view, it has a pretty good shot at it, but misses by a whisker. It does have some very good features and functions that would keep most users happy, but can't quite knock the top rowers out of the picture. However, this doesn't mean you should give up on it just yet. If you can come across a good deal on the R400 it makes for a very smart buy. Let's start with the seat, probably the least impressive part of the rower. If you're going to spend this amount of money of a piece of home fitness equipment, you're going to be serious about your fitness and therefore spend long periods sitting on it. While it's not the worse seat by far, it's not what we'd expect on a model of this caliber. It's not a deal-breaker for most, but it's something that could easily be improved. 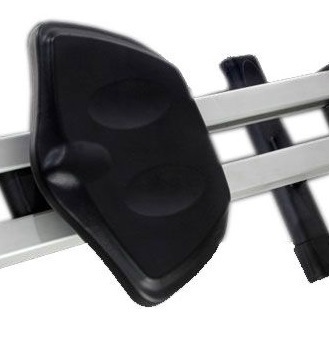 The rowing position is good, and the action is great with the combined air/ magnetic resistance mechanism (with 16 levels of difficulty) and 11 kilogram flywheel giving a realistic rowing feel - well as realistic as you can get away from the water. The seat glide is very smooth on the twin aluminium rail, and due to its design, it's very stable and won't move beneath you, even when going at it hard. One striking feature is the long rail totaling 61". One complaint we're always hearing is that many rowing machines just don't cater for the taller user, yet the R400 has plenty of room to spare and even at 6' 10" we believe this model will keep you happy. The foot rests are wide and the tough straps will keep your feet firmly in place during your workout, and we loved the well-padded chunky handle. Some nice touches include the vents that use the flywheel to send cool air into your face - note, these can be adjusted. The well-positioned transport wheels make this heavy machine easy to move even if you're slightly built and it comes with a very useful storage holder. This is a base that the machine slots into vertically when you're not using it - we can't recall seeing another rower with this useful accessory. Many rowers are let down by the display unit - but not this one. The LCD screen couldn't be easier to read and the one-touch buttons make it simple to use. 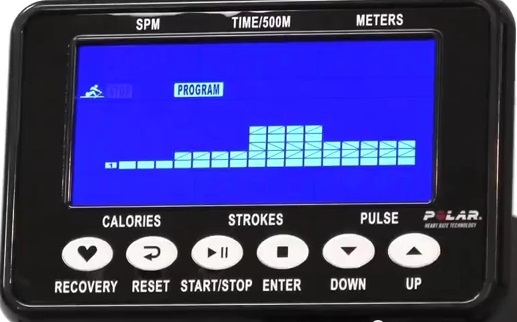 It comes with 12 pre-set programs that will set your workout using the resistance levels and targets of stroke rates, distances to be achieved and times. Nothing helps you achieve your fitness goals than variation in your training with appropriate targets, and the 6 interval programs and addition of heart rate and race course options, provide all the motivation you should need. Many consoles now come with PC-compatible or online functions. The R400 can be used with the DKN Motion App which links the console to a tablet or smart phone. It's not the best in this price bracket, but the R400 is very well made and comes close to the establish models it's in direct competition with. And thanks to the build quality and materials used, you get the impression it will last for years. This is right in the price range of some pretty top quality rowing machines, so if you have this sort of budget take your pick from this, or from the Concept E, LifeCore R100. If you wanted a water resistance machine, for a similar price you can get the WaterRower Club.